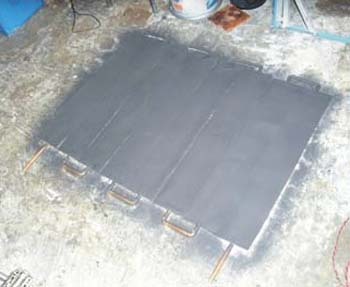 This page describes the construction of a solar thermal collector. 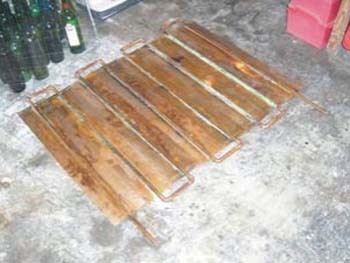 This integrates into a hot water system and ought to help reduce the boiler requirements through the summer months. 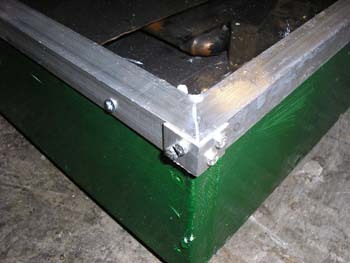 This has been built mainly using scrap and recycled components. 1. Firstly find an old hot water cylinder. 2. Cut off the top and bottom and hammer the main cylinder flat. 3. Chop the flattened sheet into strips. 4. Solder the strips to 15mm bore copper pipe. 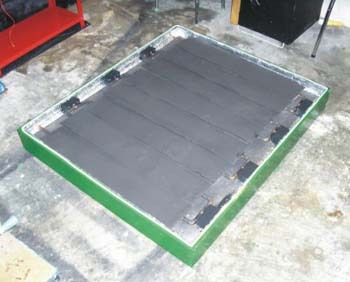 The surface must be thoroughly cleaned and the correct flux used. 5. 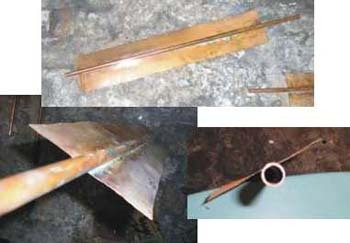 Lay out the strips, cut the pipes to length, fit 90° elbow bends and cut intermediate pipe. 6. Solder all the strips together. 7. Paint one side of the collector black. Use high temperature matt black paint, such as car exhaust paint. 8. Build a frame to house the collector. In my case this was built from wood. I built it the same size as the piece of glass I found. 9. 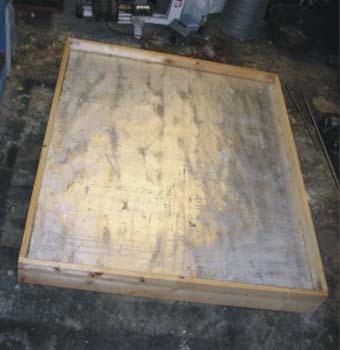 Paint the frame with multiple layers of good quality outdoor paint. Its going to the roof and you don’t want to have to keep repainting it. 10. Fit insulation to the back and sides. As much as possible. 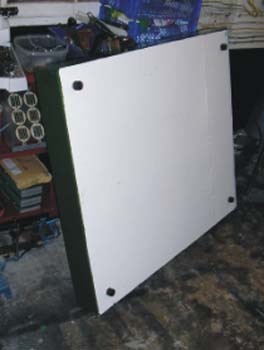 I used a sheet of foam-type insulation from a skip. 11. 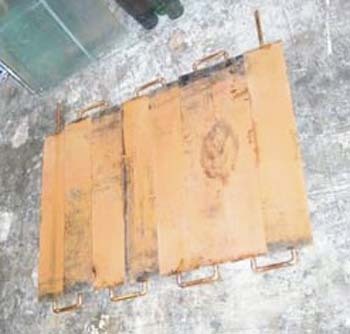 Fit the copper collector into the frame and attach to the sides somehow to stop it moving. 12. 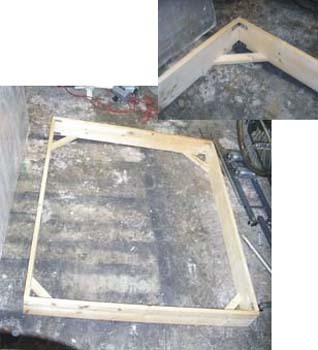 Build a frame out of angle aluminium. Angle brackets can be used for the right angle joins. This frame will hold the glass in place. 13. 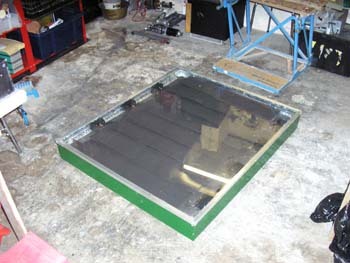 Fit the glass onto the front and fix using the aluminium frame. 14. Fix brackets onto the roof to hold the collector in place. This requires removing some roofing tiles and attaching metal strapping to the rafters underneath. 15. Plumb the collector into the hot water system. This will require an additional coil in the hot water tank, a pump, a drainback tank and a controller. 16. Wire up the pump and controller. 17. Fill the drainback tank. 18. Wait for a sunny day and enjoy free(ish) hot water from the sun.